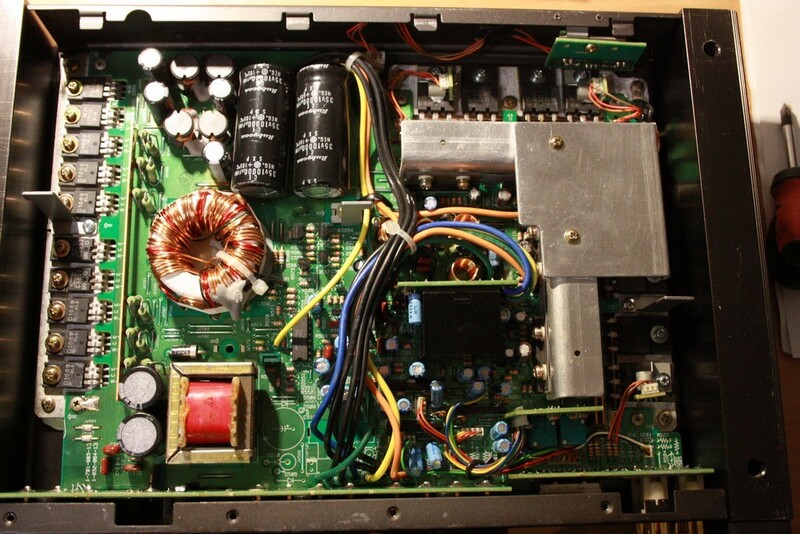 I got this power amplifier because protection circuit was always on and none of four channels play a sound. This is quite expect reaction. 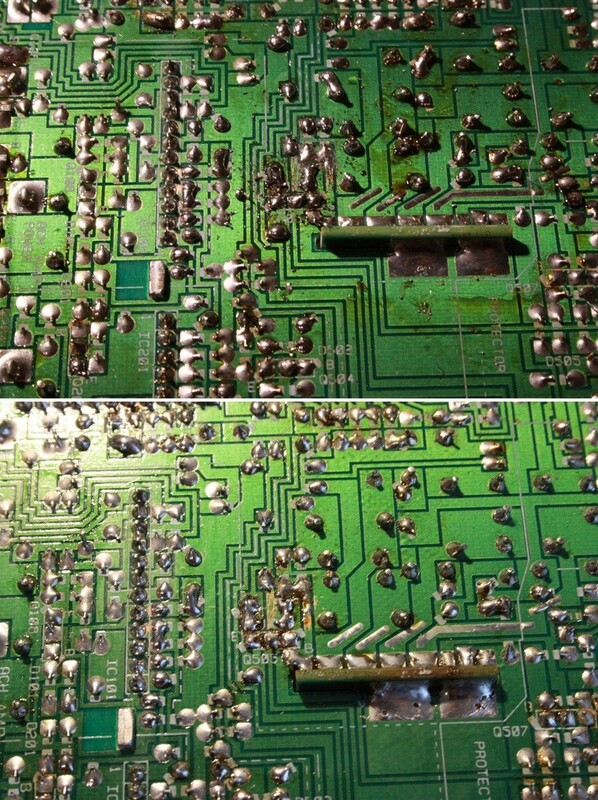 Inside of Sony XM3040 is a small IC from NEC, that provides couple of features: delayed speakers on, protection against direct current on output and against shorcircuit. Despite, none of those sympthoms occured, relays remained off. After measurements, it turned out, that is broken. After replacing, protection was still on, but relays behavior had changed. They were clicking on very shor moment. Studing schematic showed, that in my device a few parts are missing. The only datasheet I could find in internet, was to model with letter "F". My model was without letters. Probably, designers from SONY made some improvements learning on theirs faults. 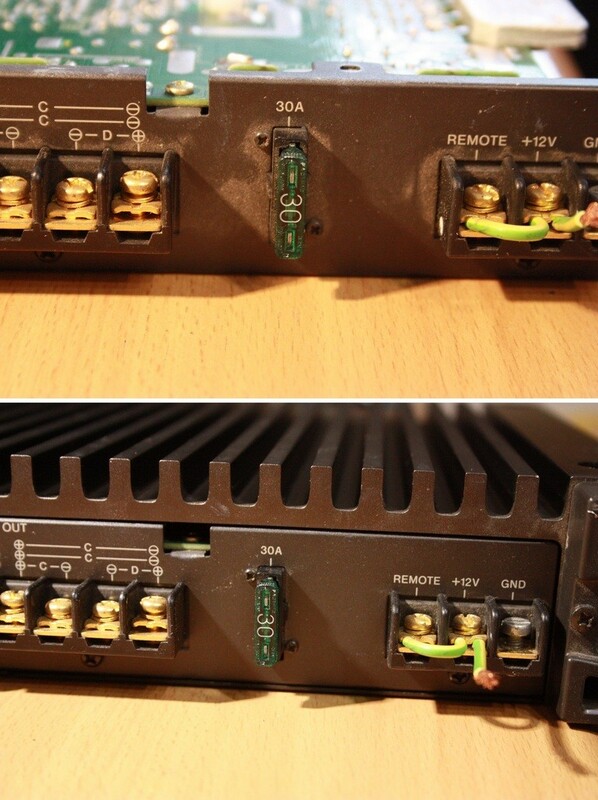 In earliest versions, power amplifier doesn't work with head devices, that don't have common ground connection. Problem is in internal DC/DC converter with a transformer. Its purpose is to rise power supply to 28V. It also separates galvanicaly both circuits. Problem is that protection IC power supply has no common points with relays power supply. In this case, it is impossible for current to flow. This power ampliier is designed to work in cars where everything has common ground (battery minus). 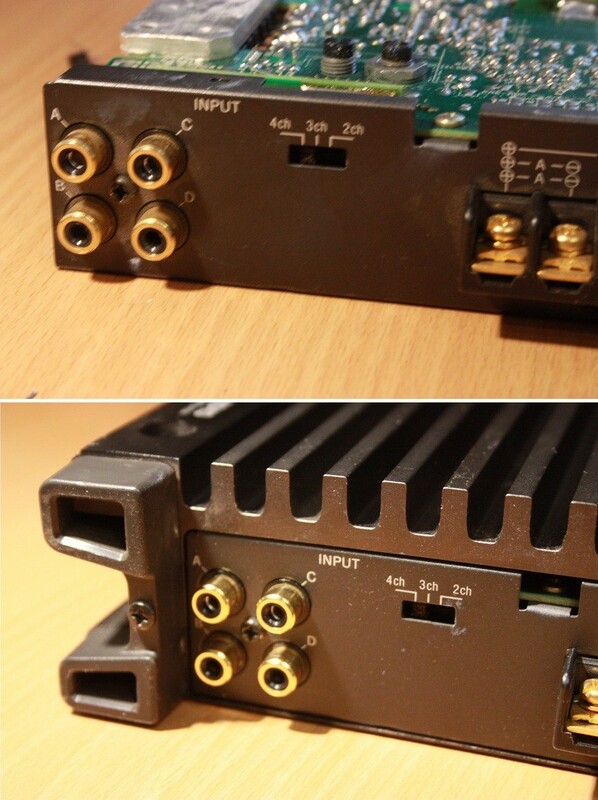 Problem appears for sound sources with own power supply. 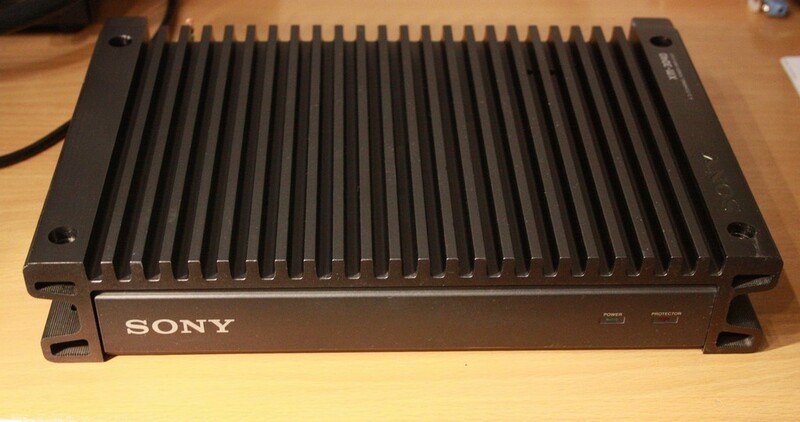 In newest versions of this power amplifier SONY added RC circuit that not only equalize grounds level but also improves EMC. 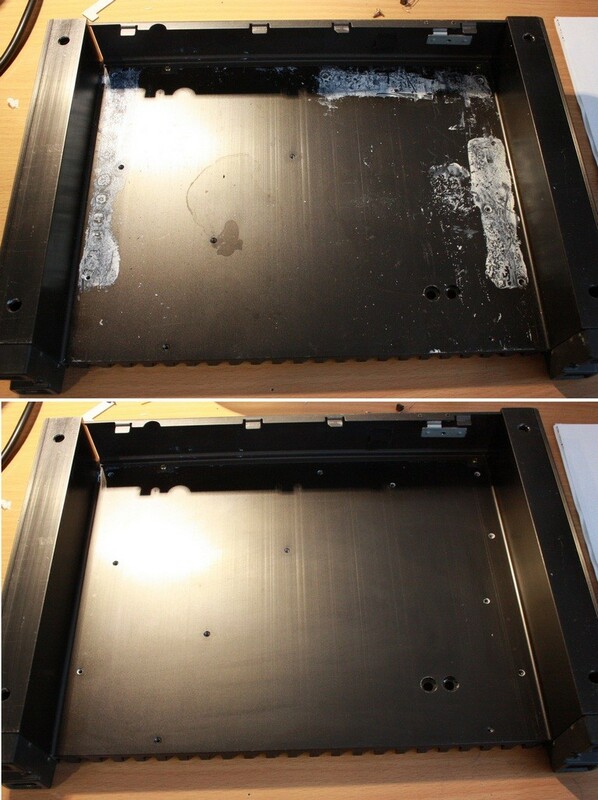 After adding missing elements power amplifier works even on desk. Below a few photos from inside and cleaning process.